Numerous concepts are applied to everyday experiences that we have in our homes, at the cottages, while fishing, canoeing, or swimming Applied Aquatic Ecosystem Concepts by Gerald L. Mackie, provides explanations for observations that we often take for granted; why water and skies are blue, why snow flakes are six-sides, why pipes burst in the winter and why objects in water are "bent" from our angle or view. 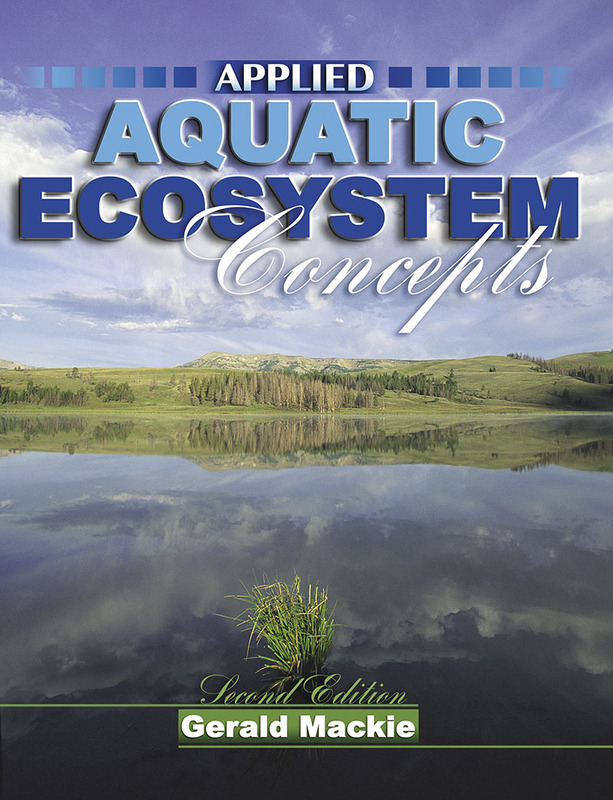 Applied Aquatic Ecosystem Concepts is a single source for information on freshwater concepts, the application of these concepts, and their integration and use for assessing impacts of different kinds of pollution. Applied Aquatic Ecosystem Concepts not only applies physical, chemical and biological concepts of rivers and lakes and specialized aquatic habitats, but also describes pollution, how to assess toxicity of pollutants, water quality, environmental impacts, conservation status of species at risk and how to control exotic species. that are highlighted and discussed, and then each point is marked within the chapter. context, which I feel will be useful to many educators and professionals." add to cart Notify me when product is available.